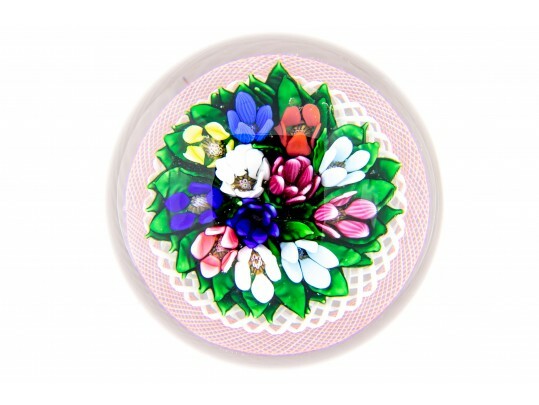 Saint Louis limited edition paperweight, magnum upright crocus bouquet in pink and white basket. Limited edition of 23/25 etched on verso. The large weight with multi-colored crocus flowers with cane inserts, laying in a leaf bed and presented in a pink and white lattice basket. Purchased from Leo Kaplan Ltd. in 1991 for $2475.00.